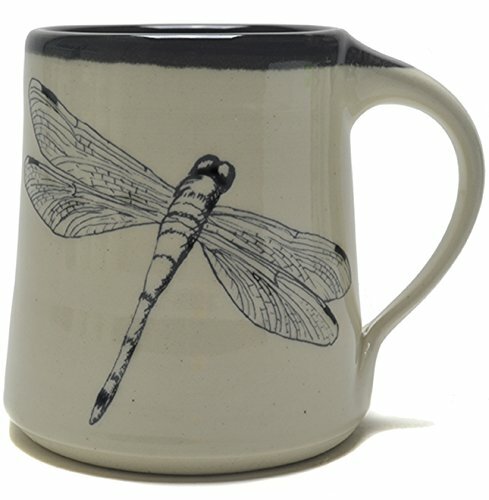 This Great Bay Pottery coffee mug boasts a natural clay color with an intricate pen and ink style drawing of a dragonfly. The black rim highlights the decoration and continues inside the mug for a continuous liner. Great bay Pottery coffee mugs are made of rugged stoneware. The clay and glazes are lead free and designed for daily use. 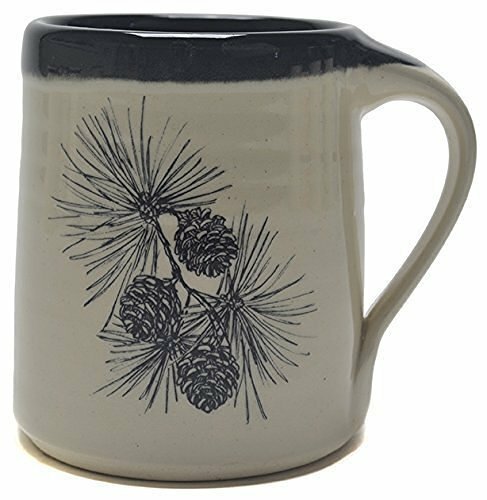 This Great Bay Pottery coffee mug boasts a natural clay color with an intricate pen and ink style drawing of a pine cone. The black rim highlights the decoration and continues inside the mug for a continuous liner. Great bay Pottery coffee mugs are made of rugged stoneware. The clay and glazes are lead free and designed for daily use.